Four members of the Democratic Republic of Congo's Olympic delegation have gone missing in London, reports say. Cedric Mandembo, who competed in judo, and coaches with the athletics, boxing and judo teams have not been seen since the closing ceremony on Sunday. The DR Congo - represented in London by four athletes - failed to win a single medal. The delegation is due to fly back home later this week. 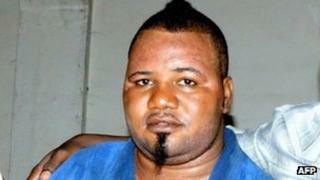 More than a week ago, five Cameroonian boxers deserted their Olympic squad. The boxers told the BBC they wanted to stay in the UK to develop their careers. Mandembo competed in the +100kg (220lb) category in London, but lost his first match after 49 seconds. The four other missing Congolese officials are reportedly boxing coach Blaise Bekwa, athletics coach Guy Nkita and judo coach Ibula Masengo. Congolese Sports Minister Baudoin said he did not know much about the disappearances. "I don't know. I left London this morning (Monday)," the minister was quoted as saying by the AFP news agency. "Yesterday (Sunday) I was with officials before the closing ceremony. They gave me a report that everything was going well," he added. The DR Congo has been ravaged by decades of war, and remains mired in poverty despite its mineral riches.